NASHVILLE, Tenn. (January 25, 2016) – Hank Williams Jr.’s Nash Icon Records album It’s About Time, available where music is sold, achieved the highest studio album peak position of his career with a No. 2 album on Billboard’s Top Country Albums and broke the Top 10 on Billboard’s Top 200, landing at No. 8. Hank Jr. and his new tourmate Chris Stapleton, who have the No. 2 and No.1 Billboard Top Country Albums, respectively, will co-headline an eight-date tour of amphitheaters across the American south and midwest. 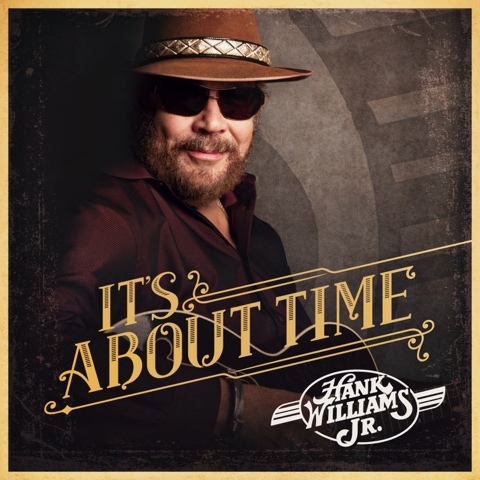 The success of It’s About Time surpasses Hank Jr.’s 2012 release of Old School, New Rules, which, at the time, was his highest debut, charting at No. 4 on Billboard’s Top Country Albums and No. 12 on Billboard’s Top 200. The country icon will continue promotional efforts for his 37th album with an exclusive acoustic performance on SiriusXM’s Prime Country, which will include new It’s About Time tracks along with Bocephus and Hank Williams classics.